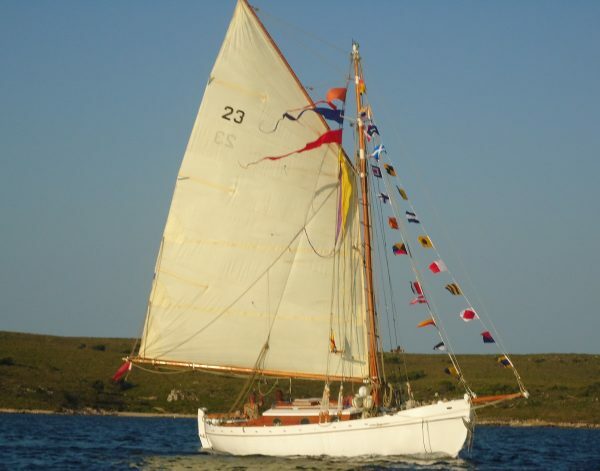 Spitzgatter design built in Belgium in 1935 following the traditional Scandinavian lines with low freeboard, canoe stern and a powerful gaff cutter rig. 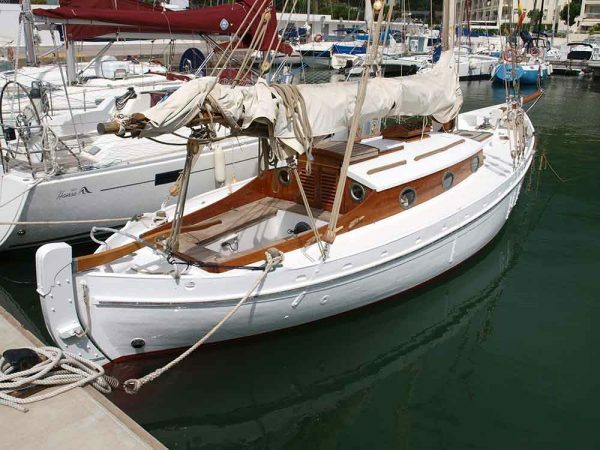 These boats were developed from the traditional working boats with sleeker lines and meant as private yachts for cruising and racing. Their popularity grew not only across Scandinavia but south into Germany, Belgium and Holland where many examples are found today, and even into Argentina though German connections. 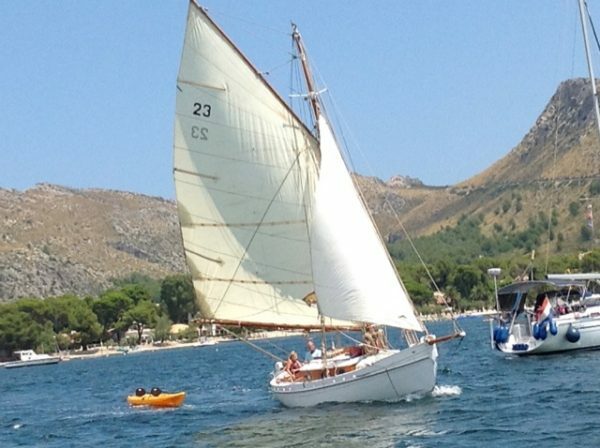 This boat was designed for racing and there is an old rating certificate from 1937 from the Gant Yachting Club. 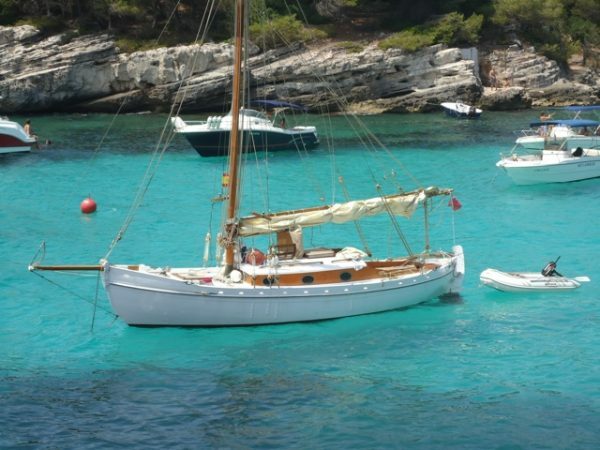 She has spent the last 20 years cruising and racing in the Mediterannean with her current and previous owner and has been well maintained and upgraded over the years. 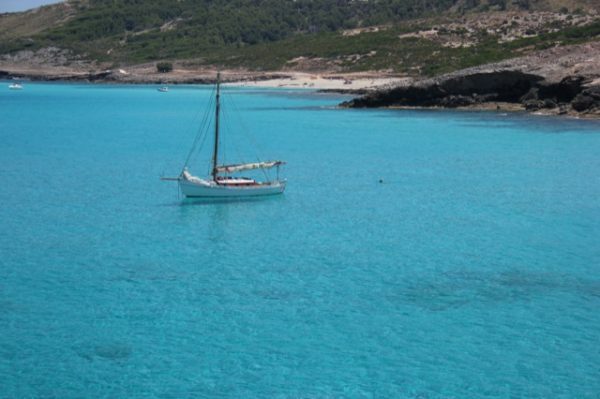 She is a well built boat using top quality materials with a new engine and good sails. 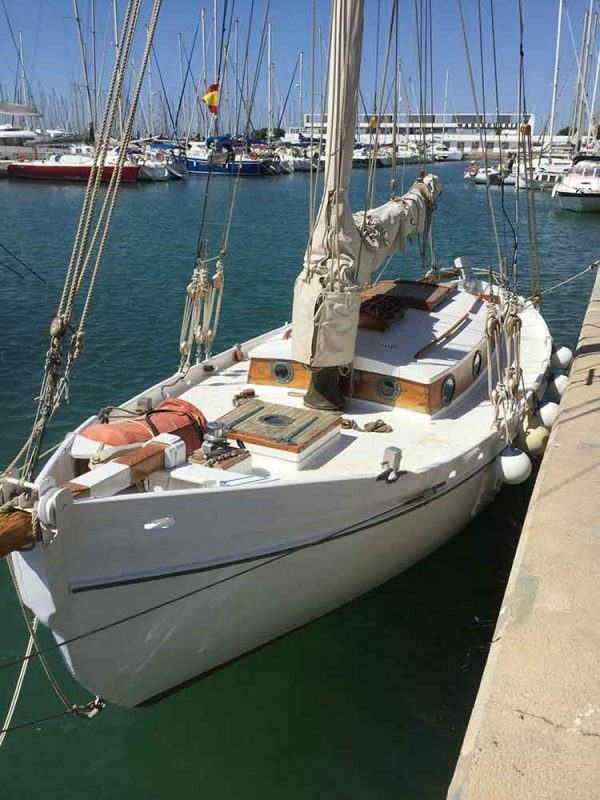 Out of water spring refit 2019, ready to sail and use this summer. Carvel planked in iroko all copper rivet fastened to steam bent oak timbers. 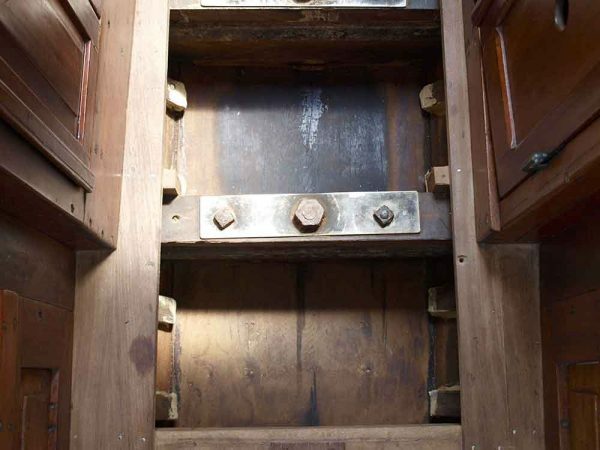 Cast ion ballast keel fastened with iron keel bolts. 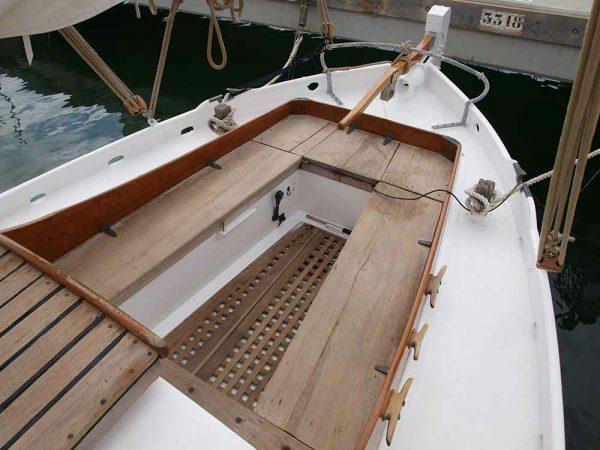 Plywood deck laid over the original solid teak deck, sheathed externally and finished in white deck paint. Varnished teak coachroof coamings with bronze portholes. Gaff cutter rig on a keel stepped varnished Oregon Pine pole mast. 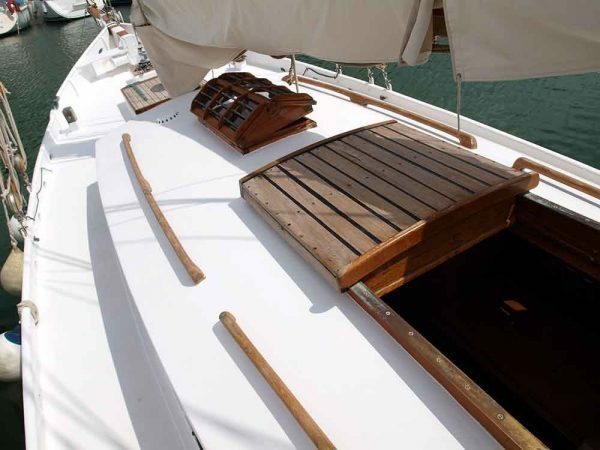 Varnished Oregon Pine slab reefing boom, gaff yard and bowsprit. Standing rigging in stainless steel wire with spliced ends, leathered over the splice. Dead eyes and lanyards to tension the rig to external galavnised chain plates. New chain plate bolts. 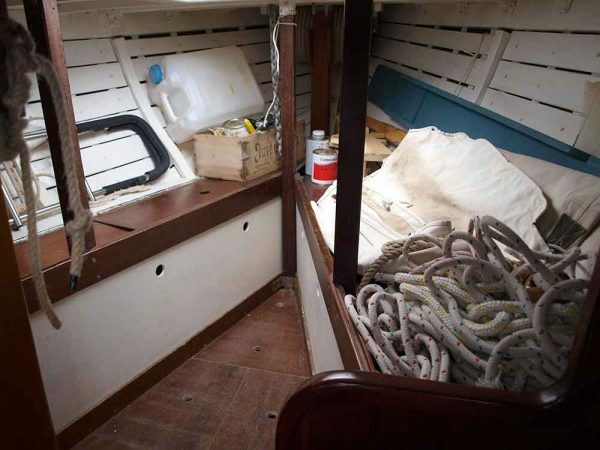 Both jib and staysail attach to the forestays with bronze hanks. Running back stays on block and tackles. 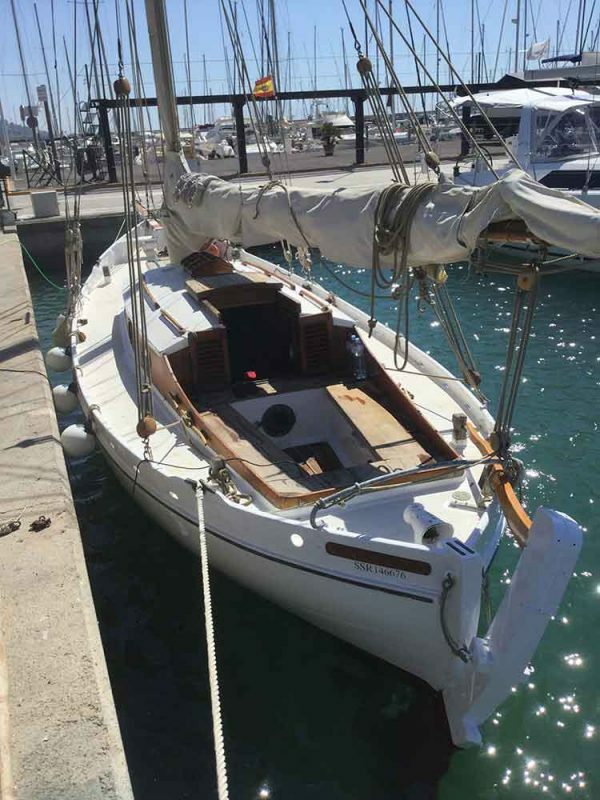 Traditional 3 strand running rigging in good condition. 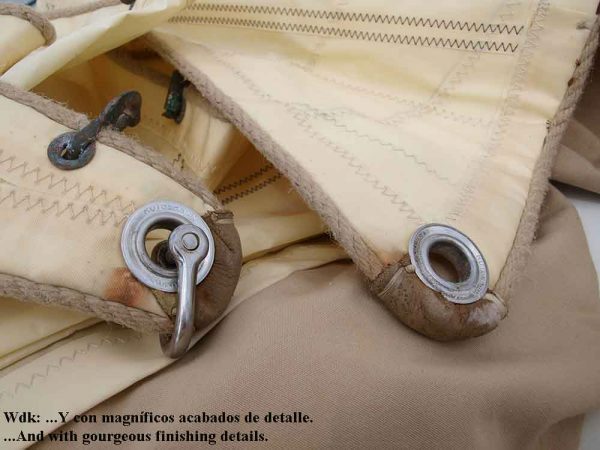 Full set of traditionally made sails by Hood from 2007. 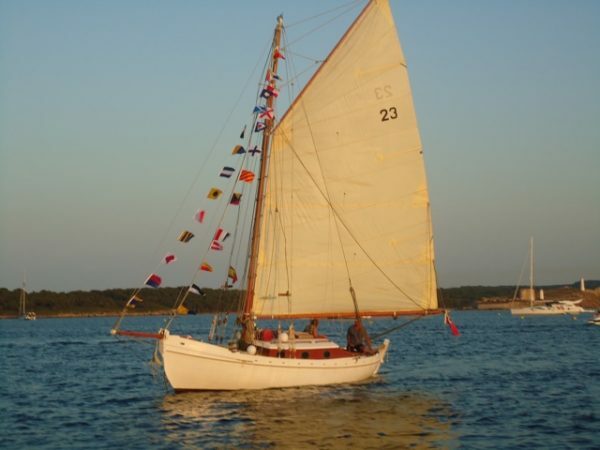 Mainsail, jib and staysail. 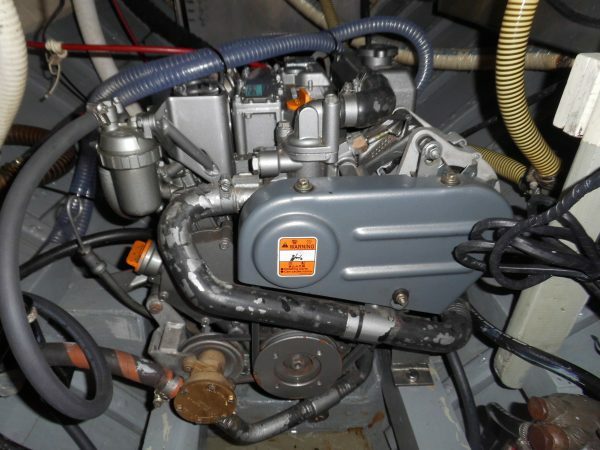 Yanmar 3YM30AE installed new in 2018. Single lever controls to a centreline fixed 3 blade bronze propeller gives 5.5 knots cruising speed. 100 litres of fuel in a single tank in the lazarette. 350 litres of water in two separate tanks, one either side at forward end of the cockpit. 2 x 80ah 12 volt batteries for domestic supply and engine starting. Installed shore power system with battery charger. 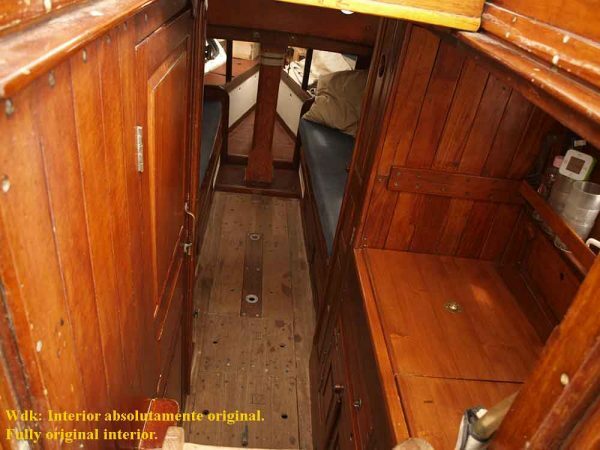 Lots of original solid teak joinery with 4 single berths and up to 5’11” headroom under the coachroof. 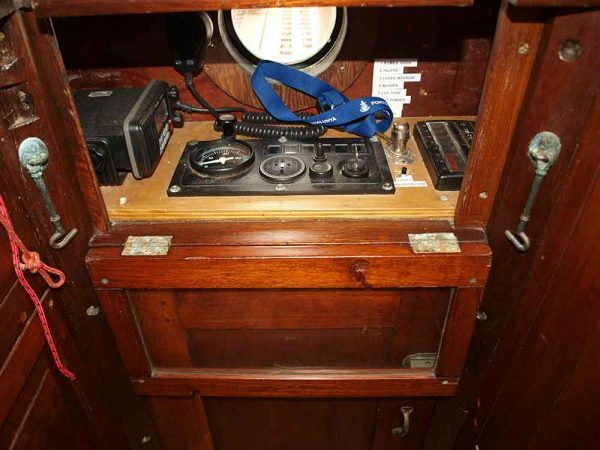 Steps down from the companion way with the galley to starboard and heads compartment to port. 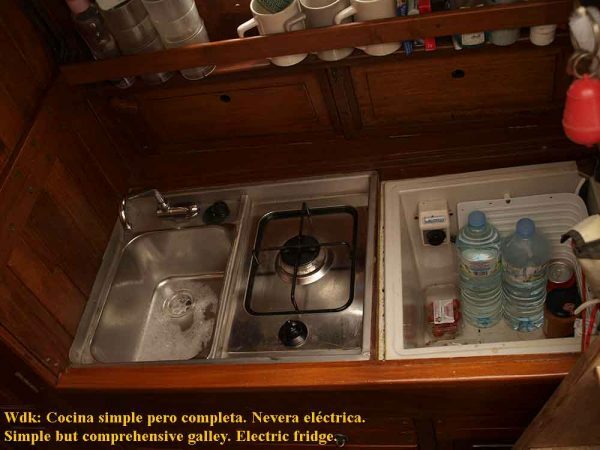 Galley has a stainless steel combined sink and hob unit hidden under removable teak boards and a deep fridge alongside, also hidden away. Storage lockers and shelves outboard and below. 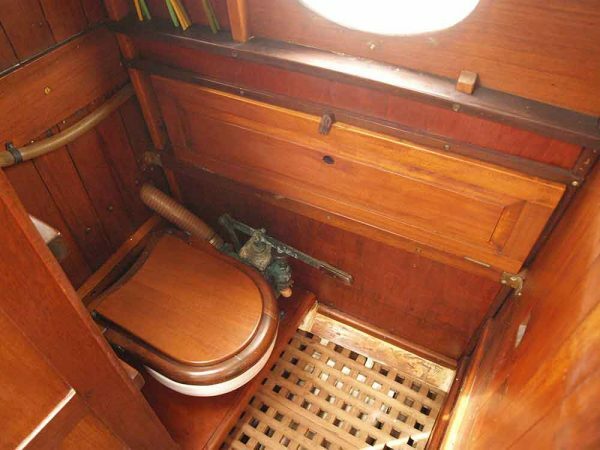 Heads has a manual sea toilet with a connected black water tank. 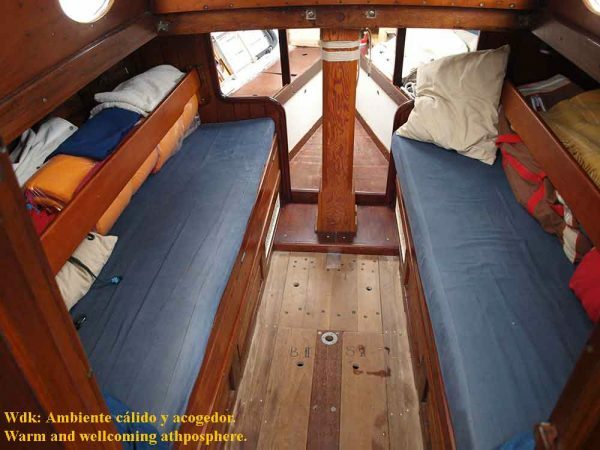 Main saloon has a settee berth either side with removable backs to make wide and comfortable sleeping berths. 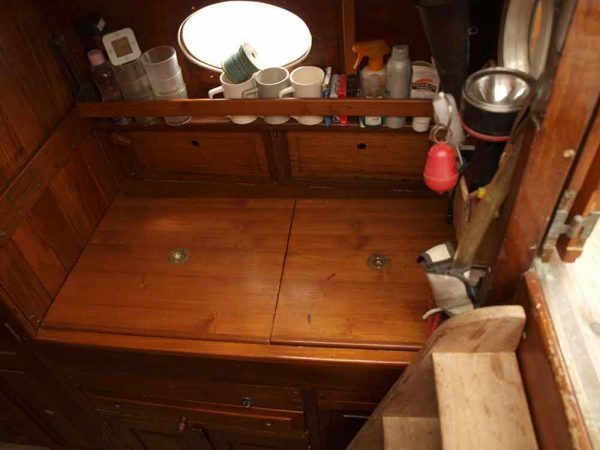 Both berths are 6’2″ x 3′. 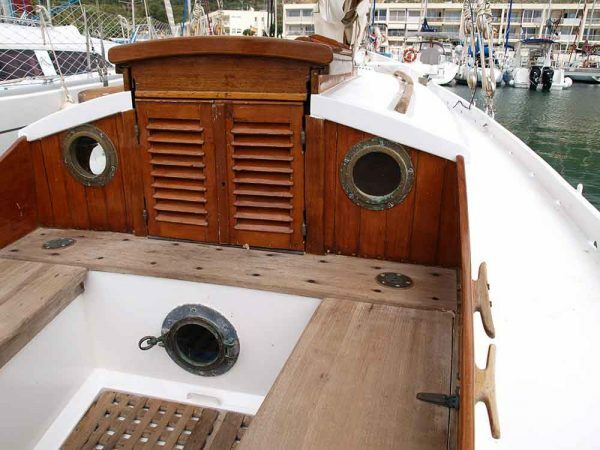 Half height bulkheads separate off the fore peak with two single berths and stowage space.